"Social media has become very powerful. I am also connected with it. But the External Affairs Ministry and Sushma Swaraj have set the best example of how a department can be strengthened through its use," PM Modi said in his address to the Indian diaspora during a community event in Virginia. PM Modi lauded Ms Swaraj for giving a "human face" to diplomacy and effectively using of social media in delivering good governance. He said the External Affairs Ministry is now connected with the poorest of the poor in the country. He also praised Ms Swaraj's habit of promptly responding and acting on tweets by Indians in distress anywhere in the world. "If any Indian in distress tweets from anywhere in the world to the External Affairs Ministry, even at two in the night, within 15 minutes Sushma Swaraj replies to it, the government takes prompt action and delivers results. This is good governance," PM Modi said. "A daughter of India, who landed in distress in Pakistan, returned to India through efforts of Indian High Commission. 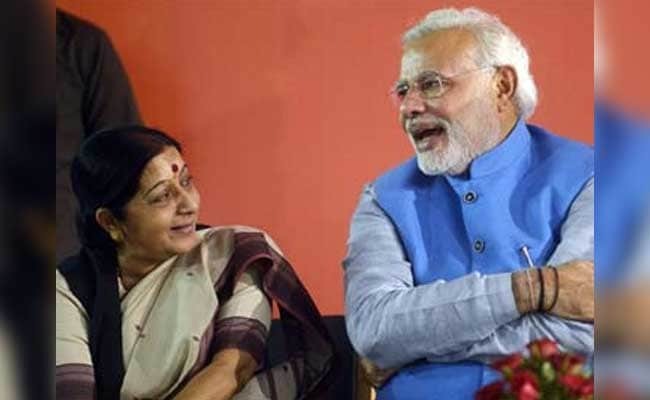 Sushma Ji deserves credit for this," PM Modi said.